If you have been unlocking codes on the Topps Diamond Giveaway site, you've received your share of vintage cards, virtual rings, perhaps a die cut card or two. But a lucky few have hit 1/1 cards that parallel Series 1 and Series 2 that include real diamonds embedded in the cards. Topps has just announced that in continuation of their 60th Anniversary celebration, they have added 40 additional 1/1 diamond cards to the site's redemption program. These cards include special diamond 1/1 cards from hottest 2011 rookies including Dustin Ackley, Mike Trout, Eric Hosmer and Michael Pineda. 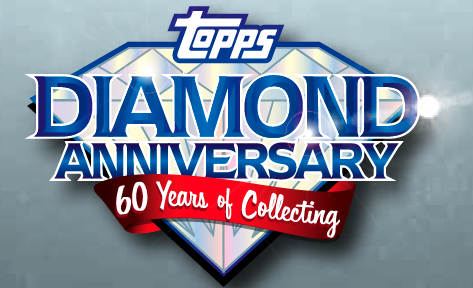 Look for Diamond Anniversary code cards inside Topps 1, Topps 2 and Updates for your chance to unlock these cards at DiamondTopps.com.